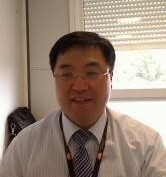 Ho-un Ko joined ITER on 25 June as Project Management Officer in the In-Kind Procurement Section of the Project Office. Before coming to ITER he worked in the Korean Domestic Agency and on Nuclear Power Plant construction site as a project manager. Ho-un, his wife and their two daughters live in Manosque to be close to the International School, where the children will follow their education. When not working Ho-Un intends to learn more about global project management and about European and French culture.